Pershing County, Nevada, USA – A global leader in the design and manufacture of conveyor components has helped the largest primary silver producer in North America to mitigate fugitive material and increase safety by upgrading the company’s bulk handling system. 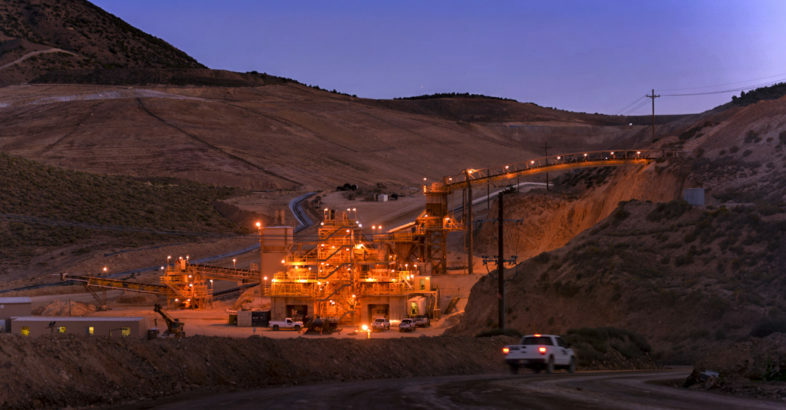 Coeur Mining, Inc. was experiencing excessive dust and spillage on the conveyor leading from the crusher to the surge pile, which lowered air quality, required 5-10 man-hours per day to clean, and caused unscheduled downtime from premature equipment failure. Martin Engineering installed a transfer point load zone using EVO® Conveyor Architecture that contains dust and spillage by centering and controlling cargo, resulting in reduced maintenance, improved workplace safety and a lower cost of operation.